পরাকাষ্ঠা & Purple ত্রিভুজ Border. পরাকাষ্ঠা & Purple ত্রিভুজ Border দ্বারা soeul_mates! Use, but credit! ^_^. 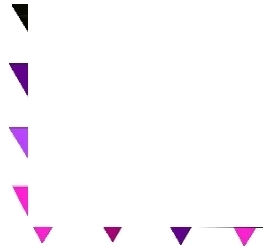 Wallpaper and background images in the polyvore clippingg♥ club tagged: pink purple triangle border.